As I progress in the Duncan Kincaid/Gemma James series, it becomes harder to write about the books because there is change in the main characters. I really don't like to spoil anyone's reading adventure so I am purposely avoiding too much detail. What I will say is that this is one of the best mystery series I've ever read. The detectives and the cases are engaging and intriguing to the reader. There is no 'formula' such as we see sometimes in a mystery series. The books aren't cozies, but more police procedurals, truly my favorite kind of crime fiction. In this one a London policeman is found murdered in his country home by his wife and stepdaughter. He is not a pleasant man, and there are many people who may have wanted him dead. The investigation goes back and forth from the village of Holmbury St. Mary to London, where both Kincaid and James live. The book involves the secrets and past lives of many people in the village. Though this horrible event has taken place, the book also offers warm and caring instances of support between friends. There really are some wonderful characters in the story. I didn't get a lot of sleep for a couple nights, since I couldn't put it down. An excellent book to end my 2010 reading year. Oh, what a relief is it to read the Mrs. Malory books. Hazel Holt is a wonderful author who not only tells a good tale, but does so with really good writing. Her knowledge is vast, and I learn something new with each book. In this one, she quotes Pevsner in reference to a cathedral. There are also several references to various plays. Such things add enormously to a book, I think. Her descriptions are sublime like this one of an office in the Deanery. It was a largish room that also had stone walls and a vaulted ceiling. There was one large, arched window set in a massive stone frame, looking out onto the roof of the cloisters below. The whole tone of the room was medieval, ecclesiastical, monkish even, so it came as something of a shock to find that the main piece of furniture was a modern office desk on which reposed, as if on a shrine or altar, a very new, state-of-the-art computer. As I've mentioned before, one of the pleasures of reading cozy mysteries is that usually the murder victim is an utterly unpleasant person with rarely any friends or family who love him or her. That way, we readers can enjoy the detection work without even a pang of sadness for the victim! Occasionally, the person we know will be killed lives on for far too long, as in this book. The dean lives till page 107! Another pleasure that often occurs in a cozy mystery is when the amateur detective is respected and even called upon by the 'real' detective or policeman who is investigating the case. "I believe you are a friend of Inspector Eliot here at Taviscombe?" "Why yes," I said in some surprise. "He's married to my goddaughter." "He tells me," the inspector continued, "that you have a very good eye for details and a very good idea about what makes people tick." "Did he!" I exclaimed. "Goodness!" "He said that you'd given him quite a lot of help on some of his cases, one way or another." "Well, I did a bit, I suppose." "I just thought," he said, "that if you do happen to notice anything, or if something occurs to you, then I'd be glad to hear from you ... "
I feel this way when I'm watching television mysteries as well as reading books. I like to concentrate on the case at hand, and not get sidetracked by any infighting. I don't like it when a detective is antagonistic to someone who really is able to help and offer good information. 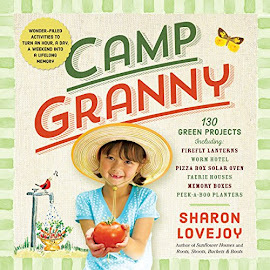 Reading Mrs. Malory books is a bit like reading a long letter from a friend, telling of her adventures. I can imagine such things as this being noted in a newsy letter. I was up about six-thirty the next morning. Both the dogs are getting old now and I like to let them out into the garden as early as possible. I love street markets and am sad that so many nowadays consist merely of stalls of cheap clothing and cut-price household goods. Culminster market, though, I'm glad to say, retains much of its original charm and you can buy fresh vegetables with the red soil still clinging to them, local cheeses, lardy bread and the sort of heavenly fudge that you can positively feel destroying your teeth and bumping up your cholesterol level! I had a bad night. For no apparent reason. Usually I sleep like a log, zonking straight out, my book often slipping from my hand and the light still on. ... I sat up in bed, put on the light and picked up my copy of North and South again. I read doggedly on for some time and gradually, soothed by the solid and familiar world of Mrs. Gaskell, I felt my lids grow heavy and slept at last. I don't know about you but I don't get many long letters anymore filled with such daily details, and I wish I did. Maybe if I wrote some, I would get some in return, but in the meantime, a book by Hazel Holt telling me of Mrs. Malory's life will suffice quite nicely. Oh, and the case. Sheila Malory's actor friend David comes to stay with her for a while. He's having financial difficulties which may result in him losing his wonderful house in Stratford. His brother, Francis is the Dean of Culminster Cathedral, and though their relationship has not been a close one, and though Francis is a priggish, self-absorbed, demanding man, he hopes that perhaps this wealthy brother will help him out. When Francis dies, and it is found to be murder, David is a prime suspect. Mrs. Malory is positive her old friend couldn't have done it, and attempts to find out who really did the deed. There are many possibilities, including Francis' own wife and children, who have been under his thumb for years. I loved this book, as indeed I do all the Mrs. Malory mysteries. I look forward to reading each book in the series, and then perhaps reading them all over again. I'm going to do a combined book report for two reasons: one, the end of the year is fast approaching and I would like to complete my book reports for 2010 and two, these two, read one after the other, may just be my favorite Agatha Christie books yet. I use the word 'may' because so often when I finish one of her stories, I think that it is the best one so far; but these two really are both excellent books. 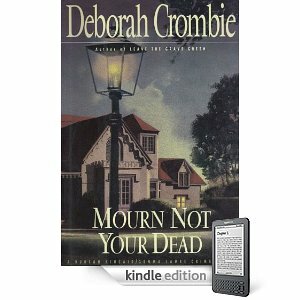 I do know that A Murder is Announced is my favorite Jane Marple book. I wish Agatha had given her this much attention and time in all the other books in which she makes an appearance. I feel like I've really gotten to know her in this book. She is a fully drawn character, not just someone who pops in to give the solution to a mysterious death. 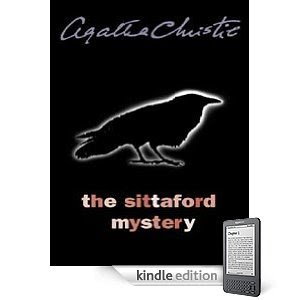 And it really is quite possible that The Sittaford Mystery is my favorite Agatha book of all I've read. It begins, sounding like Great Britain in December 2010. The scene that met his eyes was typical of the English countryside as depicted on Xmas cards and in old-fashioned melodramas. Everywhere was snow, deep drifts of it - no mere powdering an inch or two thick. Snow had fallen all over England for the last four days, and up here on the fringe of Dartmoor it had attained a depth of several feet. Up here, in the tiny village of Sittaford, at all times remote from the world, and now almost completely cut off, the rigours of winter were a very real problem. And then the word 'murder' appears. The time is 'twenty-five minutes past five. 'There aren't any telephones in Sittaford, so Trevelyan's great friend, Major Burnaby sets out to trudge miles through the snow to see if the table spirit told the truth. And the reader is off on a great mystery adventure. I thoroughly enjoyed being along for the ride. My beloved Agatha Christie - A Reader's Companion by Vanessa Wagstaff & Stephen Poole offers this picture of early versions. The name Sittaford came from Sittaford Tor, on Dartmoor, where Christie completed her first book, The Mysterious Affair at Styles, after a visit to the Moorland Hotel. At all these houses, and indeed at practically every house in Chipping Cleghorn, he delivered every Friday a copy of the North Benham News and Chipping Cleghorn Gazette, known locally simply as 'The Gazette'. A murder is announced and will take place on Friday, October 29th, at Little Paddocks at 6.30 p.m. Friends please accept this, the only intimation. Of course everyone simply must go to Little Paddocks to see just what this is all about. Many think it is a parlor game of murder. But when the lights go out and gunshots are fired, they see the game is real. When the lights come on, the shooter lies dead, and hostess Letitia Blacklock's ear is bleeding. And the mystery begins. Who is this man? Why did he try to kill Miss Blacklock? And why was it 'announced' beforehand? Something she thinks we might like to know in connection with this Chipping Cleghorn business. She's just the finest detective God ever made. As I noted previously, she is a fully involved character in this book. The Miss Marple characteristics are here - the way she really notices details, and the way she draws conclusions about people because they remind her of villagers in her own St. Mary Mead. When the police are about to close the case, she presents them with information that changes the course of the investigation. This is an intricate mystery involving interior design, past lives of the characters, important relationships, and people who may not be as they seem. Truly, an excellent mystery in every way. A Murder is Announced is the last jacket to have a pictorial design, as Christie preferred jackets without images that conflicted with her view of the contents. So there you have it, my last two books by Agatha Christie in 2010. 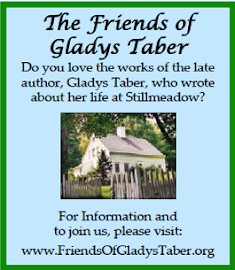 If you have an interest in her work, there's a wonderful ongoing challenge you may enjoy. 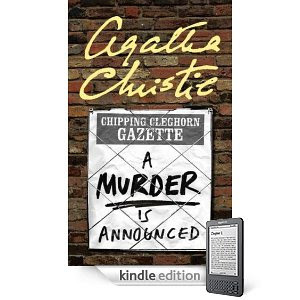 It has no requirements, and no beginning or ending dates - just a group of people who want to read their way through the works of Agatha Christie. There are monthly compilations of reviews which appear on the Agatha Christie Reading Challenge Carnival. I keep track of my own progress in the Book Reports tab under the blog header photograph. When I wrote my book report on Scarlet Feather, Raidergirl left me a comment saying that Evening Class was her favorite Maeve Binchy book. I read it many years ago, and her note prompted me to read it again and I decided to buy it for the Kindle. I had a fond memory of it, though it was tinged with a feeling I couldn't quite put my finger on. As I read Evening Class, I came upon the section that had caused the negative impression. One of the characters was abused in the past. I still found this very difficult to read, but thankfully it wasn't too long. Herein we read the first mention of Quentins, a Dublin restaurant whose owners and employees come up again in the books to follow, including a book all its own, called Quentins. I absolutely love this in an author's work; books that aren't necessarily a series, but that do have a connection one to another. The chapters in Evening Class are each devoted to one character. We meet Aidan Dunne who wants to be the new head of the school where he has worked as a devoted Latin teacher for many years, but who sadly doesn't have what it takes to lead. We meet Tony O'Brien who gets this job, and who just happens to be in love with Dunne's daughter. Tony very thoughtfully leads Dunne toward setting up and organizing an evening class, something which he has wanted to do, and which preserves his self-esteem and gives him a new lease on life. The rest of the characters are the people who take the class, and the teacher herself, Nora O'Donoghue known as Signora. She is an Irish woman who has lived in Italy for many years to be near the man she loves, who was married to an Italian woman. When he dies she comes back to her native country, and teaching this class offers her a new beginning. Each person in the class is changed by this simple act of studying the Italian language and culture a couple nights a week. The course ends with a trip to Italy. 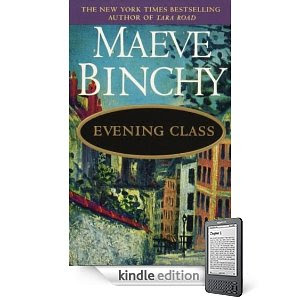 Evening Class is another lovely Maeve Binchy book. The author is a great storyteller. She endows her characters with a sense of hope and promise for the future even if their pasts haven't been so wonderful. It appears that I will be building a library of Maeve Binchy books on my Kindle. They make for excellent bedtime reading, which is when I use the Kindle. I am hoping to read several for The Ireland Reading Challenge. Next up will be a reread of Quentins. 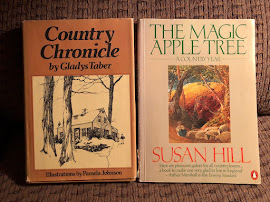 And even though I've said I like the later Maeve Binchy books better, I am thinking that I may just go back to the earlier books and read them all again. 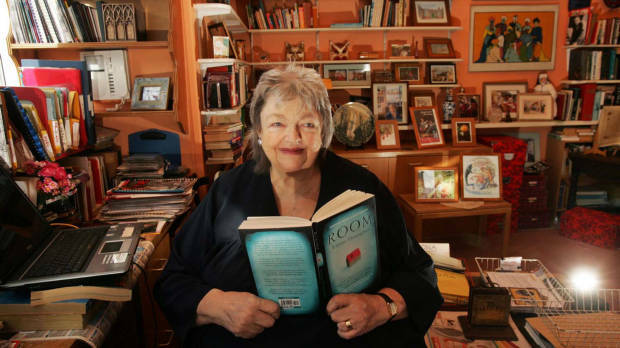 I came upon this article from The Globe and Mail in which Maeve Binchy talks about her own love of reading. I like her reading reward system, and may adapt it to my own life! When I wrote about Scarlet Feather, Bellezza left me a comment saying she loved this book, and I promptly ordered a copy for my Christmas collection. I was positive I had read it before, but honestly the stories were not familiar to me so I don't think I did. What a great collection of short stories, all related to the Christmas season. They take place in Ireland, London, Australia, and the United States. Maeve Binchy really stands alone in her understanding of, and caring for, people - all kinds of people; not just those who are easy to love. There is Elsa Martin who still has her passport for a honeymoon trip to Florida which never happened who decides to use it on this fifth Christmas since the breakup, and has a memorable and meaningful visit to New York City. There is Jen, the second wife who feels she is still competing with the glamourous Tina, the first wife. And Mrs. Doyle, the widow whose adult children take over the job of Christmas because they feel she 'fusses' too much. This is one of the most wonderful books I've read. There are fifteen stories, each one different from another, filled with the warm-hearted spirit of Christmas. I expect that I will read it again and again. Oh, to see and hear Vince Gill and his daughter, Jenny sing this most beautiful song! If you look closely, you'll see Amy Grant, Vince's wife and Jenny's stepmother on the side. It just makes me cry. The song was written in 1955 by Jill Jackson Miller and Sy Miller. I am so joining this challenge! If you read my letters often, you'll know I write about food almost as much I write about books, so this is a perfect challenge for me. You may sign up here. One thing we all have in common is the need to eat food. Some of us also have a strong need/desire to read about food. I’m one of them, are you? Such people are known as Foodies – people who love to talk, read, watch food tv, or anything else with a food theme. If that description fits you, I invite you to join me in the Foodie’s Reading Challenge for 2011. Together we’ll explore the world of good food writing. That may take the form of a cookbook or a biography or even a novel centered around food. If Margot offers the challenge again next year, I'll try and read the others on my list. As the year draws to a close, and a new one is on the horizon, I find myself thinking about books I've read this year and ones I want to read next year. I know. Book geek. And proud of it. I'm just amazed there are so many people who aren't book geeks. I don't so much challenge myself, as pick challenges that will make me remember to read the books I want to read. I thought this was a fine way to look at a challenge. 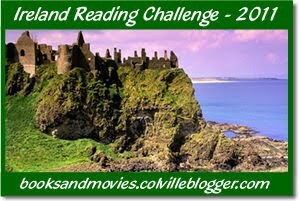 And so, I've decided to join the Ireland Reading Challenge for 2011. You may go here to sign up. ~ Re-reads are allowed.~ Any book written by an Irish author, set in Ireland, or involving Irish history or Irish characters, counts for the challenge – fiction, non-fiction, poetry, audiobooks, children’s books – all of these apply. 1. One I didn't get to finish when I borrowed it from the library, so I bought it - Maeve Brennan Homesick at The New Yorker - An Irish Writer in Exile by Angela Bourke. Nonfiction. 2. And then a book of her work: The Long-Winded Lady - Notes From The New Yorker by Maeve Brennan. Nonfiction. 3. Are You Somebody - The Accidental Memoir of a Dublin Woman by Nuala O'Faolain. Nonfiction. 5. An Irish Country Courtship by Patrick Taylor. Fiction. 7. The Dower House by Annabel Davis-Goff. Fiction. Addendum: Two books by Alice Taylor - both nonfiction. 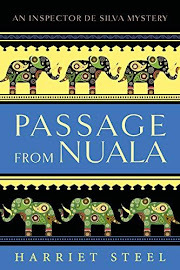 I also hope to read the following Irish books in 2011. More by Davis-Goff, if I love The Dower House. The Last September by Elizabeth Bowen. Fiction. Put 1/3 cup of granulated sugar in a separate bowl. Stir in the crushed potato chips and chopped nuts. Shape cookies into balls and roll in sugar. Place cookies on an ungreased cookie sheet and flatten slightly with the bottom of a glass. Cool on sheet before removing to cooling rack. Makes about from 30-36 depending on size. Excellent! Sweet, crunchy, and delicious. This is one of my favorite cookies. Yesterday we had a big family Christmas party down at Margaret and Matthew's, and my contribution was this very simple and terrific punch. Sorry I didn't get a photo. Needless to say, this was a big hit. This Thanksgiving we had an alternative day to most US celebrations. Tom painted and painted! Our study hadn't been painted in almost ten years. It took him the whole four days and then the next weekend to complete the job. My part was choosing the paint colors. I'm just not a painter. and the other, a photo I found online. 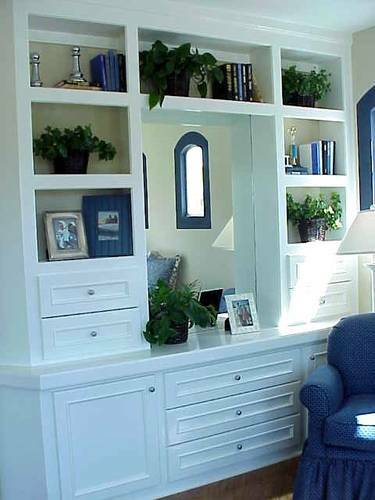 There are four painting areas - ceiling, walls, window/door trim and door, and the bookshelves. What we had was linen white ceiling, walls, and bookshelves, with a greenish trim. I went back and forth trying to decide, and then asked my daughter what she thought. We spent a fair bit of time in the room, looking it over, and she came up with just the answer - keep the ceiling and walls linen white, paint the bookshelves a light blue (I chose Benjamin Moore's Ocean Air), and the door and trim a little bit darker blue, Benjamin Moore's Gossamer Blue. I hadn't considered this possibility of the shelves being their own color, and thought it brilliant! 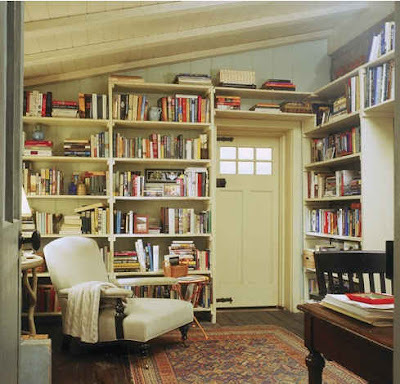 It would be fun to call it a library, but somehow it sounds pretentious for this old farmhouse, so the room will continue to be known as the study. Whatever its name, it is the reading room of my dreams. No distractions, lovely view out three windows, and all those books. I decided to put our nonfiction on the built-in shelves, and was amazed at just how much I have. Methinks I need several lifetimes to read them all. The other shelves in this bookcase house my mysteries, and poetry has its own shelf. My beloved Virginia Woolf has a shelf as she did before. Faulkner has his own shelf, while Hemingway and Fitzgerald, probably to their distress, share a shelf. They have the travel and film books to keep them distracted from one another. Dear Wodehouse and Mortimer share another shelf, which I think would please them both. I am not a collector, but over the years have come to own some china cups and four vases. I love the way they look above the books as you may see in the 'after' picture. And there are a couple small shelves in the Larkin desk where our Norton Anthologies from college live, along with new children/young adult books I've bought for myself, and a bit of fiction. We were given this desk many years ago by Tom's step-grandmother. Her husband had won it from selling soap when he was a boy. Here is a little history of the piece if you are interested. From prowling around the internet a bit I've learned it is possible that my mother's mahogany desk is in the 'Governor Winthrop style.' I believe they were mass-produced in the early part of the 20th century since they seem to be quite common. This is where my mother paid bills and wrote cards and letters. I use a different desk for my personal work, while both my mother's and the Larkin serve as lovely places to store various items. My desk has a fun story. My father owned a Pontiac dealership when I was growing up. When he died, my mother took over the business of trying to get money that was still owed my father at his death. This was successful to greater and lesser degrees. There was a man who lived out in the country in a bit of a shack, and he gave this desk to my mother in payment of a debt. It can be made into a bench by flipping the top to the back. It may not be worth much, but both Tom and I adore this piece. The African chair had its own posting three years ago. ;<) The other evening we put up some photos so that now the room is complete except for sanding the floor which is the first job on the agenda when school is out. These two are my mother graduating from high school, and then nursing school. These are two of our grandfathers; Tom's on the right, probably from the 1930s, and mine from 1902, taken in the very town we live in, which is not where he lived. I can't imagine how he got here and who those two young women were. Margaret walked in one day and said she loved it because there was nothing 'digital.' It is indeed an old-fashioned room. It is a destination room - only for sitting at my desk or for reading. We are so very pleased. Addendum: I took a rug from our bedroom and added it to the study. I think it looks and feels cozier with a little more of the floor covered. One sunny Sunday November morning, I got an email from my dear internet friend, Carole telling me she was reading a book that I might like. I looked it up and bought the Kindle version for $5.44. 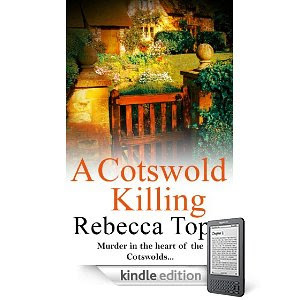 I've never read a mystery like A Cotswold Killing. It isn't a police procedural. There is an amateur who works on solving the mystery, but this isn't a light-hearted cozy sort of romp by any means. First off, the woman, Thea is a new widow. Her husband died suddenly in a car accident. She hurts herself to cope with the emotional pain. I had heard of young girls cutting themselves, but this is the first time I'd heard of adults doing such things. Thea meets another woman who puts stones in her shoes as she tries to cope with a lost, drug-addicted daughter. This wasn't a huge part of the book, but it is definitely a part of the main character. I wonder if she is able to let this go in later books. Thea has accepted a house-sitting job. She hopes it will break her routine, and give her some new activities and perhaps new acquaintances. Well, I'll tell you, this woman is the house-sitter from you-know-where. I would hate to have her taking care of my house and animals. She chooses to not bother with many of the items the homeowner has listed for her to do. A man comes to her door in a neighborly manner, and soon is found murdered near the house Thea is staying in. She feels a need to help find out what happened because of these two things. The reader learns that all the beauty of the Cotswolds comes with a price. The very rich are buying up the houses, and their jobs involve commuting. Hence, there is no village center, no gathering place for people to get to know one another. This is a very good start to a series, and I hope to read more of Thea's house-sitting adventures, which I am sure will include local murders. 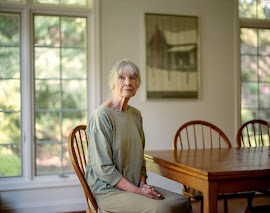 I am utterly enchanted with Deborah Crombie's books. As soon as I finish one, I order the next. My Kindle will be a DC library. 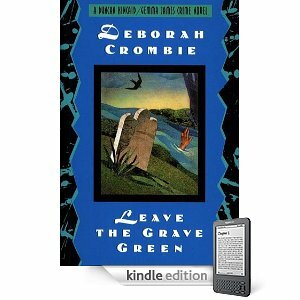 Leave the Grave Green begins with the horror of a twelve-year old boy's drowning. That event has, as you would imagine, tainted and altered a whole family's life, and may connect to a present-day crime. The sister of the dead boy, who was with him when he drowned, has lost her estranged husband in the same manner. Is this an accident and a horrible coincidence, or is there foul play involved? One of the themes is a bit the same as in an Arnaldur Indridason book, Voices; that of parents giving more attention to a talented child, while the sibling takes a back seat. This is a situation that has repercussions that stretch far into the future. Excellent story and as in the first two books, Crombie's characters are so well-drawn. 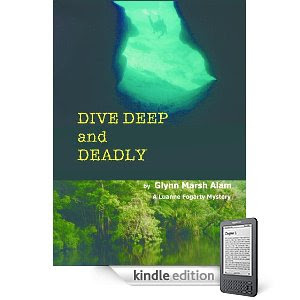 Dive Deep and Deadly was a completely new subject and locale for me; that of diving into underwater caves in the swamp area of Florida. Not a place I could ever live with water mocassins and alligators galore, but it certainly makes for fun armchair traveling! Some boys discover a body, and Luanne Fogarty is asked by the police to go down and investigate. There are more deaths, of course. Her nearest neighbor on the swamp is an older man who was quite close to Luanne's mother in the past. I really, really enjoyed this book even while I winced at the swamp creatures. Luanne is a strong, independent woman who doesn't mind living all alone. She has come back to her childhood home and is doing it over. She'd like to just dive, but knows she must go back to her profession as a linguistics teacher to earn a living. The author's life is much like Luanne's which gives the book such a strong sense of place. Really excellent first book, and I want to read more. 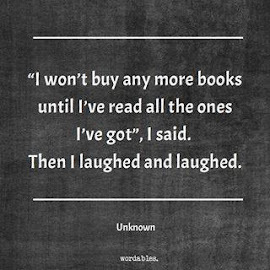 I don't think, however that I will buy another for the Kindle. This was really terribly done with words running together as one, poor punctuation, big spaces. I almost thought of writing to the author to let her know. As much as I enjoy my Kindle for the ease of bedtime reading, it will never, ever replace print books for me. This album really does swing! Tony is wonderful, as always, and The Count Basie Big Band is terrific. And isn't that a great cover?! It is a perfect choice to put on if you are having a Christmas get-together or if you are home alone baking or decorating. For many years we went out into the woods and cut our own Christmas tree. While it was always great fun, the result wasn't always beautiful. Around here the fir balsams grow thick together, and what seems so perfect out in the woods is really three or four trees looking like one tree. Anyhow, after some time, I lobbied to begin buying our yearly tree at the local Christmas tree farm, and quel difference. The tree didn't have any spaces between branches. Ornaments didn't pull the branches practically down to the floor. You may see these perfect Christmas trees in many of my December letters. Well, this year Matthew and Margaret have been talking about cutting their own 'Charlie Brown Christmas tree.' If you don't know what this is, it comes from a wonderful 1965 television production called A Charlie Brown Christmas. It is still shown on television and is also on dvd. I found their enthusiasm contagious, and so the night before last when Tom got home from work, we went out in the fast-falling snow, and cut down a tree right on the edge of the field. There it is! The dogs came and a lovely time was had by all. We decided we'd bring the bow saw down to Margaret and Matt's house so they'd have it when they wanted to go cut their own tree. As we were walking down the hill, we met them coming up. Matt was going to borrow the tractor to plow out their driveway area. They decided to cut their tree and bring it home in the bucket of the tractor. We all had so much fun. It was the most incredible feeling to be doing this with the woman who used to be that little baby. The Queen chooses a tree that isn't perfect because she realizes that it has sheltered birds and animals. But the days are short now, and we must make the most of them so as to have some time left for reading and study. I don't often express my own thoughts when I post a quote du jour. I usually just let the words speak for themselves. But I can't resist writing a bit about this one. You can't read a magazine or an online article on the Christmas season without hearing about the stress of shopping, decorating, baking. Each one offers ways to take shortcuts to give us more time. 'Don't try to do too much' the articles say. The reader gets advice on 'how to make a simpler Christmastime.' When did all this madness begin? 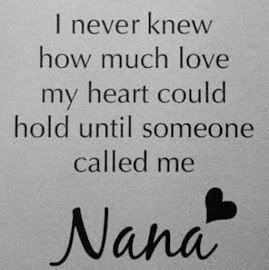 I don't remember my mother running around, harried and cranky. I remember Johnny Mathis on the stereo and the beautiful tree. I remember the fir boughs and lights on the front porch. Maybe people didn't used to buy so much? This whole Black Friday thing feels like shopping gluttony to me, especially when it begins on Thanksgiving Night. What happened to sitting around with the family and friends relaxing? With all the business and busyness of these days between Thanksgiving and Christmas, can you imagine anyone taking time for 'reading and study??' I sure can't. And The Old Farmer's Almanac didn't say a word about the bustle of the season; just that the days are short. You notice also that the quote doesn't say anything about the evening. That's when many people read now. Our days are way too busy to pick up a book at say, three o'clock in the afternoon. We would think we were being lazy. 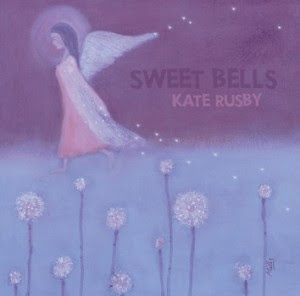 When I listen to Kate Rusby, I sometimes think her work is all the music I need. Her voice is so pure, so clear. I love how the words sound when she sings them. I envy my British friends who may live close enough to see her in concert this holiday season. Here is a review from a recent show in Preston. A couple of my letters have noted this wonderful singer, here and here. This 2008 Christmas offering is unlike any I have ever heard. Some of the songs are familiar, but she approaches them in a way which feels older than the hills - the way they may have been sung by a family sitting around the hearth on the dark days of December. Though this video doesn't show Kate, you may hear one of the songs and decide for yourself if this album is one you must have in your life. I am so grateful it is in mine. That's what Tom says about turning 60 this day. He painted the bookcases in our study. He's on the tractor hauling wood to the terrace just now. We are invited to Margaret and Matthew's for a birthday supper later on. One sister gave him a huge bunch of birthday balloons, and the other gave him sixty crisp new one-dollar bills. Both his parents are still alive, as well as his step-father, and he's been in touch with each of them this week. Michael's text was 'Happy Birthday Daddy-O' while Margaret's was the Olive Garden Happy Birthday chant which everyone in this family has taken as their own. Here's a picture of Tom and Matt yesterday bringing a table which had been stored in our cellar, and a workbench down to the new house. It belonged to Tom's great-grandfather, and now he has given it to Matt. Tom is a man who has the gift of living each day without thinking much about the one before or the one to come. He is a contented man. Matt and Margaret spent their first night in the new house on November 22! I asked Margaret if it was alright if I took some 'done' photographs, and she said it was fine, so here is a peek into this home that you have seen being built literally from the ground up. You may click on 'The Making of a Home - 2010' tab under the blog header for earlier photographs. 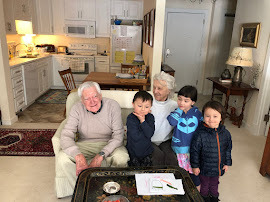 It has been the most amazing process, which really began just about a year ago with visits to the bank for Margaret and Matt; and the town for us to get a subdivision of our land. It has been quite smooth all along the way. People have been very nice. These photos were taken on the first of December. There is still inside unpacking, decorating, arranging to do but it is now their home! When I took these pictures, both of them were at work and there was a crockpot bubbling away and a newly made loaf of bread on the counter. We gave Matt a bread machine like ours for his birthday in November, and he has made maybe half a dozen loaves since they moved in. Margaret told a dear story of a bunch of guys who stopped by and they all stood around the island eating fresh bread. Don't you love it? We gave Margaret a red KitchenAid for Margaret's Day, and already a cake has been made. Ah, the lovely domestic life. It fills my heart with the deepest happiness. Margaret and Matthew's closet off the bedroom - isn't it great?! I love the built in shelves in the master bath, such a nice touch. The landscaping can't happen till spring, and wow is it ever muddy! Isn't this a great welcome mat? Matt's brother gave it to them. The joy of seeing their lights each evening is simply indescribable. We are so very happy for them, and for us!